Does anyone know if there will be a second season, someday? My favorite anime this season. Just so funny and relaxing with no drama and nice characters. Just loved it. 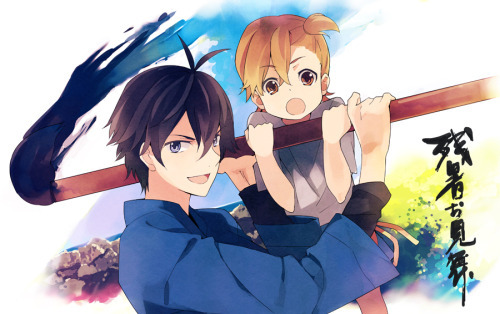 This season had so many good anime...Barakamon being one of them. I will truly miss this show. Feeling the void already. 9/10. This anime is pure greatness. One of the top for me, its a shame I hate to torrent it since it wasn't available in the US. Man, that was an awesome show. I always knew that this show would have me smiling and laughing the entire time and it never disappointed me. 9/10 for me. This was a captivating moment. Welcome back sensei! I don't have much to say for this show but it was one of the best of the season imo. Rating this a 9/10 for the pure innocence, creativity, and well-thought out characters. The humor is also great too that adds charm to the overall premise of the series. This was one of my favorites this season and that ending episode was just amazing, 9/10. It's a shame if you torrented it, considering that it was available on Funimation in the US. Lol'd @ Sensei's mom beating Kawafuji. "I got a silver prize.Curse you,Tama." "Impulse & painful experience," lmao. Easily the best show this season 8.5/10. Hope this gets a 2nd season. Not the kind of finale I was hoping for, but w/e. Still AOTS on my end, 6.5/10. Did it make your top 3 like I expected or no? It'll be 2/3 switching with Nozaki-kun depending on today's episode. Wait what is number 1? Please don't say silver. You really don't think much of me, do you? Didn't actually find it all that laughter-inducing, usually just extremely pleasant and comforting to watch. And often touching. Handa was very much in the top tier of male protagonists this season. 7/10, would recommend to anybody unreservedly. So, not what I would consider the best show I watched, but certainly my personal favorite. A fantastic anime, it definitely deserves a place in my top five anime this season. However, I found myself feeling a little under-whelmed by the last few episodes. I had expected Handa leaving the island so unexpectedly to have caused a greater emotional response for the characters , especially from Naru being she's so young and naive. It ended up being far more positive and light-hearted than I had expected and while I don't blame them for taking that route I had kinda hoped for at least one incredibly feel-stretching scene between Handa and the gang. Overall, the series deserves an overall 8/10- a very good anime that just knocks on the door of greatness. First Handa's Mom had me laughing! Second Handa's house didn't take long to become the hangout again! But now it's done ! My favorite anime of the season! Just a good anime funny sad lots I mean lots of life lessons! So sad ! It's done A 1000 Thanks! However there was something about Handa's dad being on the Island to the story what IDK! But can you imagine if Handa's mom and dad come over! Dad would be OK but Mom XD. Hoping for a S2 ! Ah, it's over. My personal favorite show of the season. Just so relaxing to watch and it never failed to put me in a good mood. 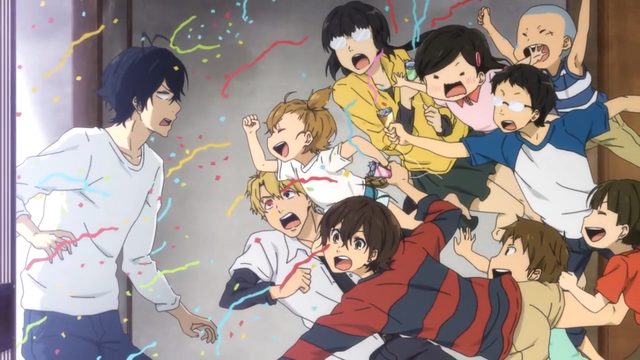 I shall miss thee Barakamon.